That philosophy isn’t far off from a trend that many Americans are finding beneficial to their health: the Mediterranean diet. This eating plan is based on foods like fruits, vegetables, whole grains, breads, legumes, potatoes, seeds and nuts that have made up the daily diet for many people living in Italy and Greece. Extra virgin olive oil and moderate amounts of poultry, fish, dairy and eggs also constitute important parts of their daily food intake. Research shows that eating this way can actually help prevent heart disease and promote overall health and wellness. For these reasons, many adults are modifying their eating habits to more closely resemble the Mediterranean diet to improve health. At Chick-fil-A, there are many options for anyone trying to follow the Mediterranean diet. Here’s a list of Chick-fil-A meal choices you can enjoy morning, noon and night. 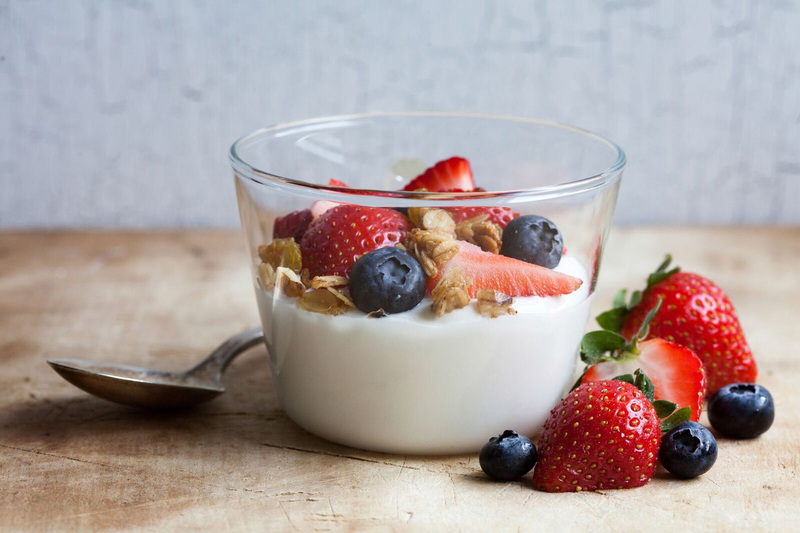 Breakfast: Start your day off with a Greek Yogurt Parfait! This breakfast treat includes protein-packed Greek yogurt and fruit that is sure to fuel a good morning. Other options include the Egg White Grill, which is packed with lean protein, or the Sunflower Multi-Grain Bagel. Lunch: Go for a newer fan favorite, the Superfood Side, topped with Grilled Nuggets. It’s important to include fruits or vegetables with every meal to keep up with the Mediterranean diet, so the Grilled Market Salad or Spicy Southwest Salad are also great options to keep things light and green. 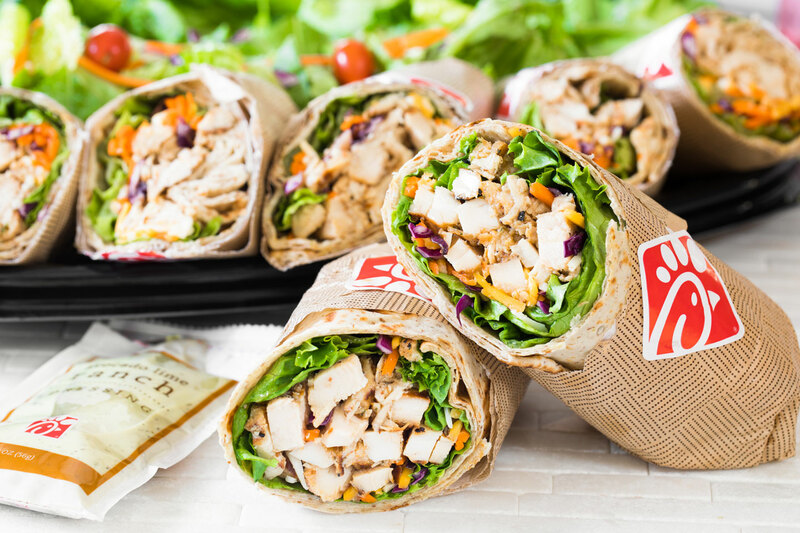 Dinner: Finish the day with a light yet filling Grilled Chicken Cool Wrap and a side of fruit. Or, if you’re feeling a little hungrier, try the Grilled Chicken Sandwich. 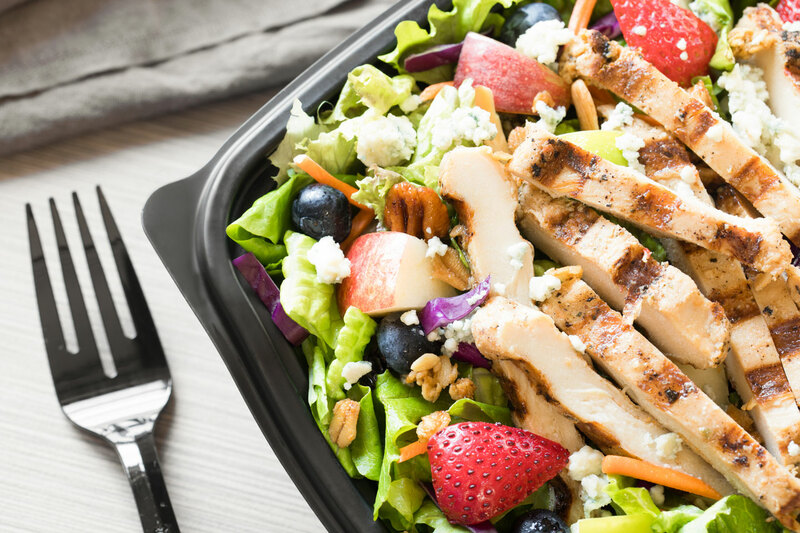 Whether you are dining “al fresco” or picking up one of these meals on the go, rest assured that your local Chick-fil-A has options for your Mediterranean diet covered. Buon appetito! It goes by many names, but high-intensity interval training – also known as HIIT– has become one of the workout world’s most popular exercise routines. In fact, a survey by the American College of Sports Medicine ranked it as the third biggest fitness trend for 2017, behind wearable technology and body-weight training. Leafy greens, meat, seeds and nuts are all foods that cavemen used to eat. Back in the day this food was hunted and gathered by our ancestors. While the methods have changed – most people now gather their food from the local grocery store or farmers’ market -- the eating trend has made a comeback. But what about those times when life gets busy and you are dining in a hurry?